Thinking of selling on Etsy? Searching for another stream of income? Or just looking to try your hand at monetizing a hobby? In this introductory post, we’ll cover the basics on how to sell things on Etsy. Ever since I started selling on Etsy, I’ve been getting a lot of questions about how Etsy works. If you’re not familiar with Etsy, it’s an online global marketplace where shops sell handmade and vintage items, as well as craft supplies. It’s like eBay in that it aggregates products from different stores, but with a more boutique feel and unique items. According to Etsy, they “operate marketplaces where millions of people around the world connect, both online and offline, to make, sell and buy unique goods.” Like I mentioned above, I describe it as a boutique version of eBay. Looking for beautiful handmade soaps, a cute vintage dress, or supplies for that new jewelry project? Etsy has you covered. They’re also a great destination for unique gifts. These must be at least 20 years old. While there is a huge variety of vintage items sold on Etsy, I’ve seen a lot of sellers with vintage clothes, shoes, accessories, and housewares. These must be made and/or designed by you, and can be physical items (like cards) or digital items (like invitation templates). I’ve chosen to sell handmade items since I’m not as restricted by inventory levels, don’t have to carry much stock, and can make items to order. This gives me a lot of flexibility, especially as I grew my shop while living in a small condo without much storage space. These are tools, ingredients, or materials, and can be handmade, vintage, or commercial. Items listed for sale on Etsy under Craft Supplies will also automatically appear in Etsy Studio, the supplies arm of the website. Why sell things on Etsy? There are many reasons to sell on Etsy. First, it’s a established platform with millions of monthly shoppers which can really help to get your product in front of prospective customers. Also, because they’re established, there isn’t much risk associated with selling on the platform. Payments are made promptly and regularly, and they are responsive to seller questions and help requests. Second, the start-up costs are relatively low. While in most cases, you’ll still need to purchase inventory or supplies, shipping, and marketing materials, with Etsy you don’t have to jump in to paying $30 per month for a Shopify website, in addition to domain and hosting costs. Plus, if you open your Etsy shop by signing up through this link, you’ll get your first 40 listings free. Third, there’s lots of support. Dealing with a difficult customer? Etsy acts as the middleman and works to resolve any conflicts. They also have a great Seller Handbook, lots of seller forums, and highlight opportunities for in-person selling in different cities. How do you run an Etsy shop? 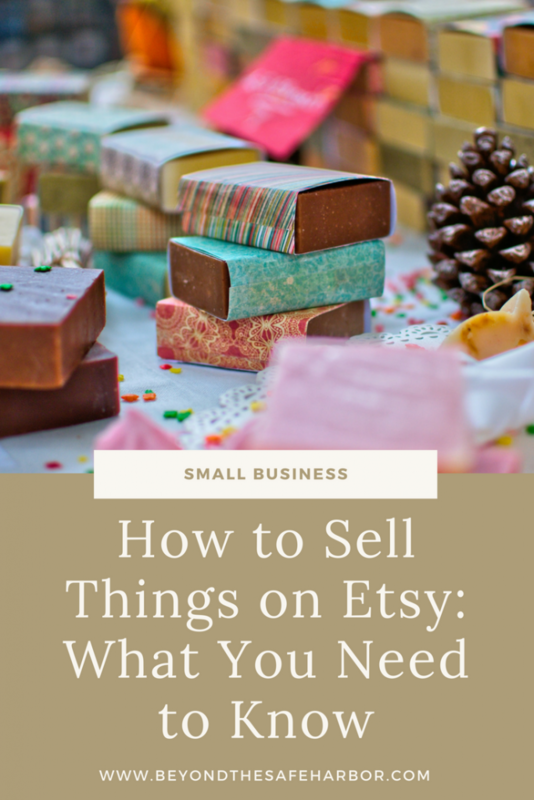 My post How to Start Selling on Etsy Successfully goes into great detail about running a shop, but I’ll cover some basics here. In short, once you’ve identified what you’ll be selling and you’ve done foundational work including defining your target market and choosing your brand name, you’ll open your shop and begin listing items. Listing an item involves uploading high quality images of the product, creating a catchy title, writing a great description, adding in other relevant details like size and materials, adding a price including tax and shipping costs, and then publishing it to your shop. Once you have your shop up and running with listings, you’ll want to turn your attention to marketing your shop and items, and creating a promotional and administrative calendar. This includes when and how often you list new products, any seasonal offerings, sales and promotions, and more. Once you make a sale, you’ll receive an email notification from Etsy (and if you have the Sell on Etsy mobile app, you’ll hear a cha-ching from your phone!). Pack and ship your order within your specified processing times, and send a shipping notification to the customer so that they know it’s on its way. The nice thing about selling on Etsy is that there’s no monthly fee. At a high level, you pay based on the number of items you list and the volume and value of sales you make. 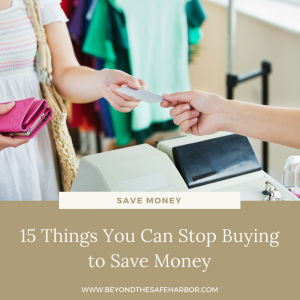 In most cases, a slower month will mean lower fees, unless you’ve been adding a bunch of new items to your shop during that time. Note that the fees and amounts detailed below are accurate as of August 10, 2017. Etsy charges $0.20USD for each item that you list or re-list and each item that gets renewed once sold. For example, let’s say you sell handmade knit hats and you’re planning to list a red hat for sale. You have 10 on hand and want the listing to show that there are 10 available. To post your item on Etsy, you would create one listing for a red hat, upload pictures of the hat, write your description, add your details, and then set the quantity available to 10. You would be charged $0.20USD for listing that item, even though you entered that you had 10 hats available under that listing. This listing fee keeps the item available for sale on Etsy for 4 months. If someone were to purchase 1 red hat, the quantity would decrease from 10 available to 9 available and you’d be charged another $0.20 as an auto-renew sold fee. The clock would then return to zero, and the listing would remain active for an additional 4 months. If after 4 months, you don’t sell any more red hats, you’d be prompted by Etsy to renew the listing. At that time you could either choose to let it expire, or renew it for a listing fee of $0.20USD. Note that there are auto-renewal options, but for the sake of simplicity, we won’t cover those here. Etsy also charges a fee of 3.5% of the selling price of any items sold. This fee does not include shipping costs or taxes. For example, let’s say you charge $10USD for your red hat, plus 10% tax and $5USD shipping. Your Etsy transaction fee on the sale of one hat would be $0.35USD, representing 3.5% of just the price of the hat alone. Etsy also charges a fee for processing credit or debit cards, Etsy gift cards, Apple Pay, Android Pay, integrated PayPal, iDEAL (Netherlands), and Sofort (Austria and Germany) payments. While you can set up alternative payment methods, I’d highly recommend sticking with Etsy Payments. It ensures you are paid in full before you ship your orders. The Etsy Payments fee differs from country to country, but since we’ve been speaking in USD, let’s use the United States as an example. If your Etsy shop’s bank account is located in the United States, you’ll pay 3% + $0.25USD per transaction in Etsy Payments fees. This is 3% of the total sale price plus a flat fee of $0.25 per order. Unlike transaction fees, this is based on the entire purchase price, including tax and shipping. To find out the Etsy Payments fees for your country, read this Seller Fees for Etsy Payments article. Note that this net amount does not take into account the cost of materials or your time. If you list items in a currency other than your bank account’s currency, Etsy has to convert your funds to your bank’s currency on your behalf. 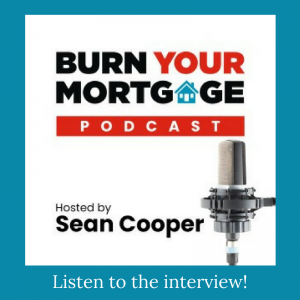 They apply a 2.5% conversion fee to the current market rate. For example, my shop is priced in USD and while I do have a USD bank account, my bank is in Canada and is considered to have a bank account currency of CAD. Therefore, Etsy charges 2.5% in conversion fees when they deposit funds into my bank account. While I could avoid this fee by charging in CAD, most of my customers are American. And to avoid fluctuations in pricing for them, I charge in USD. It has been worth the extra fees for the increase in sales I experienced once I switched to listing my products in USD. If you choose to promote your listings through Etsy, you will be charged for any promotions that you run. This is an advertising feature they offer and it is completely optional. I’ve had some success with Promoted Listings myself, but it hasn’t been consistent so I don’t often run these promotions. If you choose to run your shipping through Etsy, Etsy will charge you for the cost of them. I purchase stamps from Canada Post and don’t use Etsy for any of my shipping needs, but if you ship larger/heavier items, you may find that Etsy is cheaper and therefore use their shipping labels service. If you’re looking for more information on fees associated with selling things on Etsy, check out their Fees for Selling on Etsy and Pattern article. Etsy is a fantastic way to earn an income through flexing your creative muscle and using some business skills. When I first opened my shop in September 2015, I had no idea that it would enable me to quit my corporate job just over a year later (you can read the full story here!). 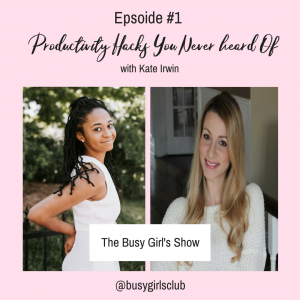 I now have the flexibility to work from home and focus on other projects (like this blog!) that I had previously put on the back burner. It’s also allowed me to put my business skills into action, empowering me as an entrepreneur. Be sure to check out my follow up post, How to Start Selling on Etsy Successfully which gets more into the details of running a shop. I also posted Making Money on Etsy which outlines the 10 steps I took to double my Etsy sales with limited spend. Read to get started? Open your Etsy shop by signing up through this link, and you’ll get your first 40 listings free! Plus, this blog post walks you through the step by step process of opening a shop on Etsy. If you have any questions about selling on Etsy, please let me know in a comment below. I’ll be sharing more Etsy-related advice in the future, but if you have specific areas you’d like me to cover, I’ll definitely take that into account too! And be sure to check out my post The Best Investments I’ve Made In My Etsy Business for more advice. Hi Terry! Great to hear from you, as always. Your art is beautiful and I can’t wait to see what you come up with! Best of luck and let me know if you have any questions at all if you end up selling on Etsy.